Do you want to speed up your WordPress website? Fast loading web pages increase page views, improve user experience and also help with SEO. With studies showing that the human attention span is 7 seconds, it vital that you have fast loading pages. As a matter of fact, most of your visitors expect your page to load up within 2 seconds. 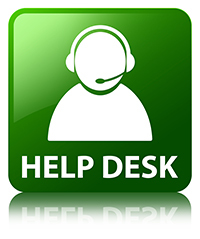 A 1 second delay can lead to 7% loss in conversion, 16% decrease in customer satisfaction and 11% fewer page views. With that in mind, what can you do to boost the speed and performance of your website? What causes web pages to be slow? Web hosting: This happens when your hosting server has not been configured properly. WordPress configuration: If your WordPress website doesn’t serve cached pages, it will overload the hosting server thus causing your website to be slow or even crash. Page size: Poorly optimized images will cause your website to be slow. Bad plugins: Poorly coded plugins will slow your page speed significantly. External scripts: External scripts like font loaders and ads will impact the performance of your website negatively. 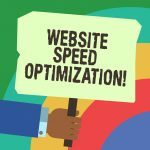 Now that you understand what causes a website to be slow, let us look at the things you can do to boost the speed and performance of a WordPress website. The first step is to get a good hosting service. You need a web host that takes the measures to optimize the performance of your website. You also need to see if your website has outgrown the shared hosting plans. If you get lots of traffic and your website has lots of content, it is time to upgrade to a more powerful hosting plan. The WordPress pages are dynamic. That is to say they are built on the fly when someone visits a page. Building a page means running processes to find the required data. The use of caching plugins can make your website 2x to 5x faster. The caching plugin will make a copy of the page after the first load and serves repeat visitors that cached version when they open your page again. There is no need to re-built the page thus the website loads faster. Images add life to a website and boost engagement. However, if you haven’t optimized your images they might be hurting your WordPress website. You need to compress your images without sacrificing resolution. You will find many image compression tools online. Other things you should consider doing is optimizing your background processes, keep your WordPress website updated, split comments into pages, don’t upload video/audio directly to WordPress and use a content delivery network (CDN). The theme you install should also be optimized for speed.